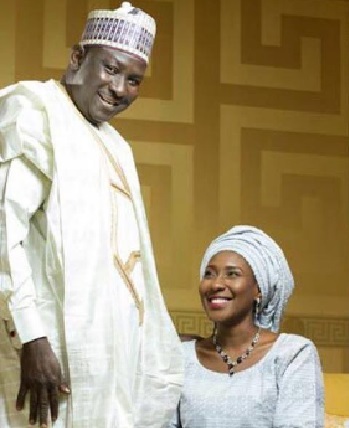 The Nigerian antigraft agency, the Economic and Financial Crime Commission, the EFCC has declared it will soon swoop on the newly wedded son-in-law of President Muhammadu Buhari, Yau Kumo over alleged N3 billion bank fraud. report according to Sahara Reporters the EFCC, on Tuesday confirmed that 57-year old Yau Kumo, a former managing director of the Federal Mortgage Bank of Nigeria who last weekend married Fatima Buhari, President Muhammad Buhari’s second daughter, is under investigation for fraud. Mr. Kumo is alleged to have diverted loans and funds from the bank to fund the construction of a mega hotel in Gombe and the purchase of choice properties in Abuja. The wedding ceremony last week was low-key as the president reportedly did not invite guests to the wedding as was expected. He reportedly claimed that as it was Fatima’s second marriage, it was not a big deal. EFCC operatives told SaharaReporters they are investigating several petitions against the president’ son-in-law. They did not specify when he might be taken in for interrogation. Mr. Buhari has openly stated that should any of his relatives be involved in corrupt acts, he will not shield them. Also last week during his visit to Harvard University in the United States, Vice President Yemi Osinbajo stressed that in fulfillment of the law, the current government will not teleguide the anti-corruption agencies or interfere in their work. He was commenting on a question concerning when former president Goodluck Jonathan would be arrested, in view of the weight of corruption issues surrounding him and his officials.